Saturday I had the freezer meal presentation and we had Q&A afterwards. Apparently, you can freeze potato chips! And Doritos are actually quite excellent while still chilly! Who knew? 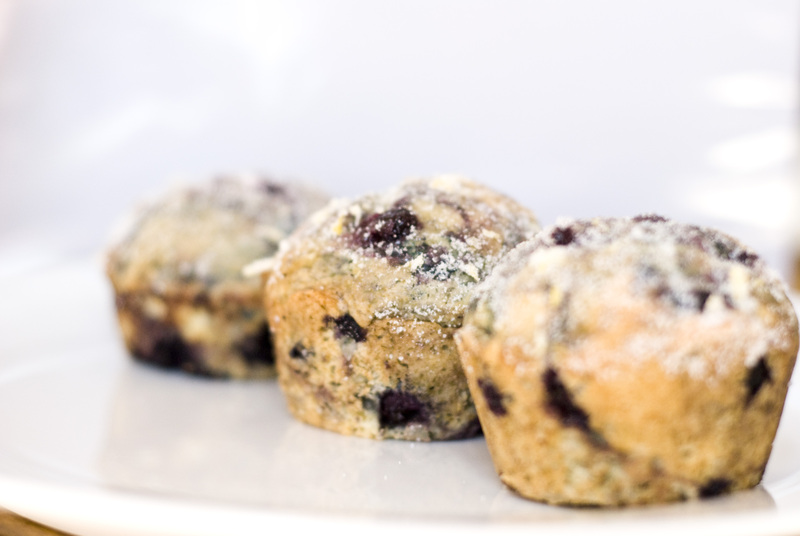 Back to Blueberry Muffins. Here is another great recipe from King Arthur Flour and I included different toppings I used. They rise high and crown beautifully. Once they are cool, you can wrap and freeze them! 4 Tb. butter, room temp. 1. Preheat oven to 375. Usually I don’t like to line my muffins because they seem to rise higher without liners. But you can and you will have a lot less clean up. Be sure to grease the pan if you are not using liners. Be sure to grease the liners if you are using liners for easier muffin removal later. 2. 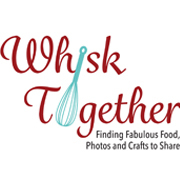 In medium bowl: whisk together the dry stuff. Flour, baking powder, baking soda, and salt. 3. In big honkin’ bowl, on low then medium-high speed beat the butter and sugar until light and fluffy (1-2 minutes). 4. Add the eggs one at a time. Scrape the bowl in between. 5. Add the rest of the wet stuff: vanilla and sour cream/yogurt until combined. 6. Pour the dry stuff into the wet stuff. Mix on low just until it is barely combined. it will be very thick! 7. Fold the blueberries in by hand. If they are frozen, they will streak the batter but that’s okay. It looks kind of Jackson Pollock. 8. 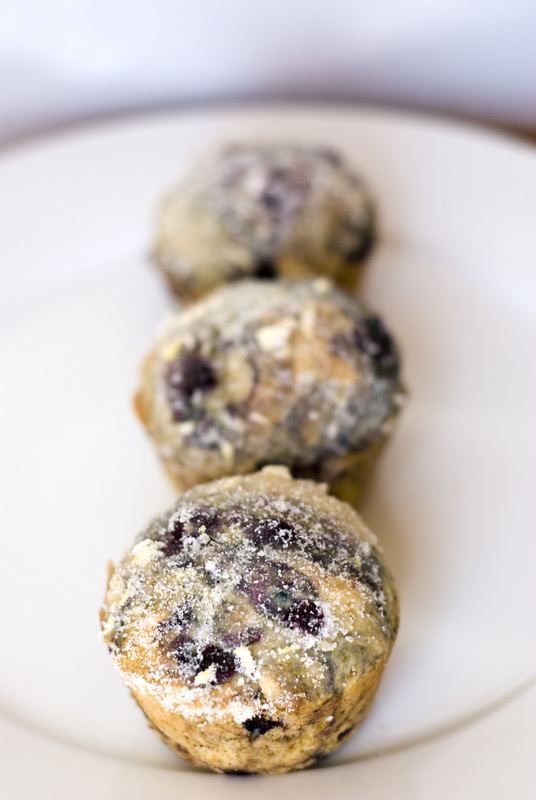 Dump about a heaping 1/4 cup of batter into each muffin tin. They will be almost full. Sprinkle coarse sugar if that is your topping. Or sprinkle the streusel topping now if that is your topping. Gently press into the batter. 9. Bake 18-24 minutes. Use the toothpick test. The tops should all be nice and round. If you see any dips, then the batter is not cooked underneat them. 10. Put muffin tin on cooling rack and cool about 10 minutes tops. Remove the muffins from the pan and allow them to cool directly on the rack. 1. Mix 1/2 tsp. lemon zest with 1/4 cup sugar. 2. In a microwave safe bowl, mix 1/8 cup lemon juice and 1/8 cup sugar. Microwave and bubble about 2-3 minutes. The mixture will reduce and become thick and syrupy when cool. Or you can simmer if over medium heat in a small sauce pan. 3. Brush the lemon sugar syrup over the muffins (let them cool 5 minutes, put on wire rack and then brush). Dip the tops into the zest/sugar mixture.